Buddha Belly Bakery | Conveniently Gluten Free! located in the historic downtown of Newcastle, Ontario! 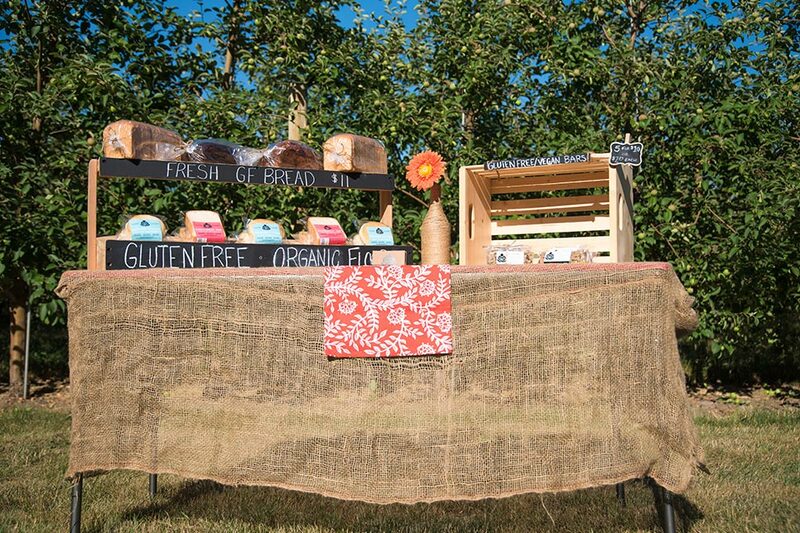 We bake all of our products with high-quality, non-GMO, & organic ingredients! We believe that eating Gluten Free should never be a compromise on flavour or quality. After 3 years of business, we are proud to announce the opening of our NEW bakery storefront! This addition allows us to serve you better by providing a spot to pick up fresh baked breads & sweets, and relax on our quaint porch with an espresso or tea! You can find us at the Cobourg Farmers’ Market every Saturday, from May- December, 8:00 am - 1:00 pm. You now have the option to pre-order online through our shop, or stop by the market and see our selection of fresh baked products yourself! The Cobourg Farmers’ Market is full of local, fresh, & real food. We believe in it, &we support it. See you at the market! Want Buddha Belly products in a café or restaurant closer to you? Buddha Belly Bakery is focused on supplying you, our customer, with the best gluten free breads & sweets out there. Don’t be shy! Contact us so we can get more Buddha Belly products on your shelves and in your belly.